Sentinel Property Group has fully divested its industrial property holdings at 145-147 Archerfield Road at Richlands in Brisbane. Following on from its sale of 147 Archerfield Road for $6.1 million in December 2015, Sentinel has now settled the sale of the larger 145 Archerfield Road property for $15.75 million. 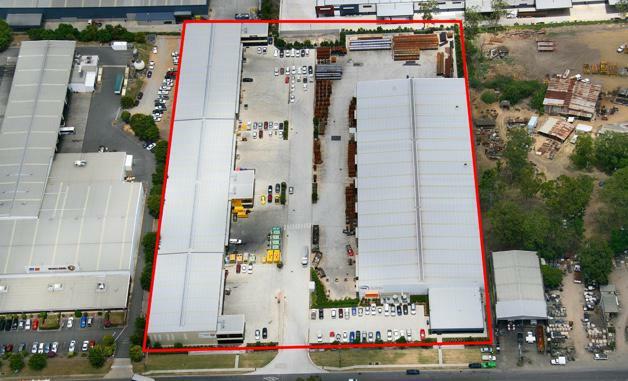 The two adjoining properties, located in Brisbane’s south-west industrial corridor, were acquired by Sentinel in 2012 for a total of $18.5 million. The 145 Archerfield Road property comprises 26,800sq m of land and 12,168sq m of warehouse and is leased to a range of tenants including Gough Transport, Evolution Drill Rigs, Downer Electrical and Global Metals. The property was acquired from Sentinel by Benlee Property Trust No. 11 in a deal negotiated by Ed Bull of CBRE. The smaller 147 Archerfield Road property, comprising 19,490sq m of land and 7,917sq m of warehouse, was sold vacant possession to owner-occupier Vermeer Australia in December 2015 in a deal also negotiated by CBRE. Sentinel managing director Warren Ebert said it was an opportune time to sell the Archerfield Road properties, given the pending oversupply of industrial property in the Richlands precinct. “We have already seen this oversupply put substantial pressure on rents and we expect this to continue for some years,” he said. The latest Richlands sale continues a recent series of strategic divestments by Sentinel across its national property portfolio. To date, the company has sold a total of six properties and a number of other potential sales are pending. “Sentinel’s success has been built on buying well by identifying assets with both value add and exit strategies in sectors not yet in favour by the majority,” Mr Ebert said. “In a sign of the strength of this strategy and the greater weight of capital now in the market, we are receiving numerous unsolicited offers from buyers seeking to acquire strongly performing assets that we hold in our chosen sectors. Mr Ebert said Sentinel still remained an active buyer in the market for properties aligned with its proven investment criteria and was currently investigating a number of potential new acquisitions in the retail, industrial and office sectors nationally. Since it was established in 2010, Brisbane-based Sentinel has amassed a national portfolio of 45 retail, industrial, office, land, tourism and agribusiness assets with a total value in excess of $1 billion.